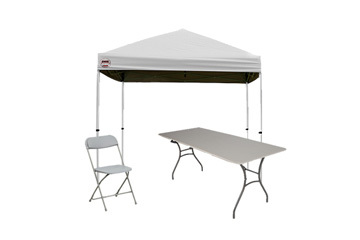 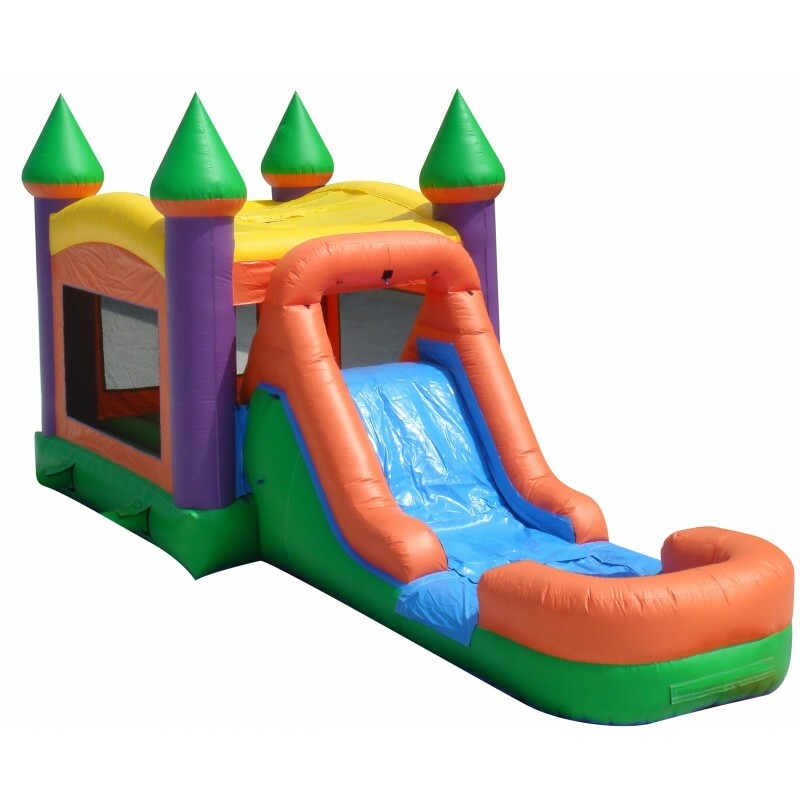 Have twice the fun with our wet or dry palace slide combo. 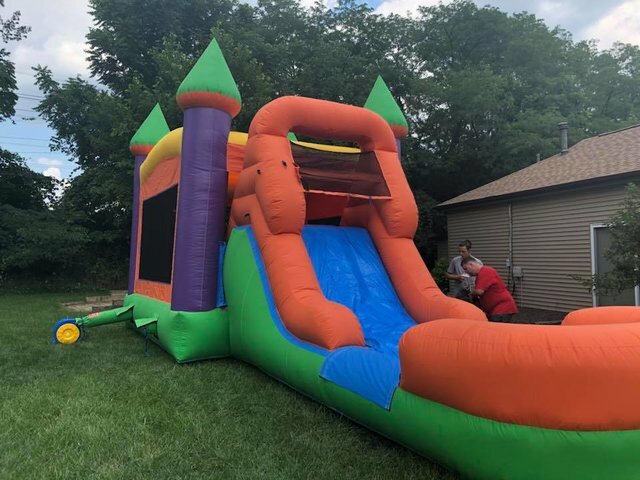 This inflatable bounce house with attached slide is so much fun. 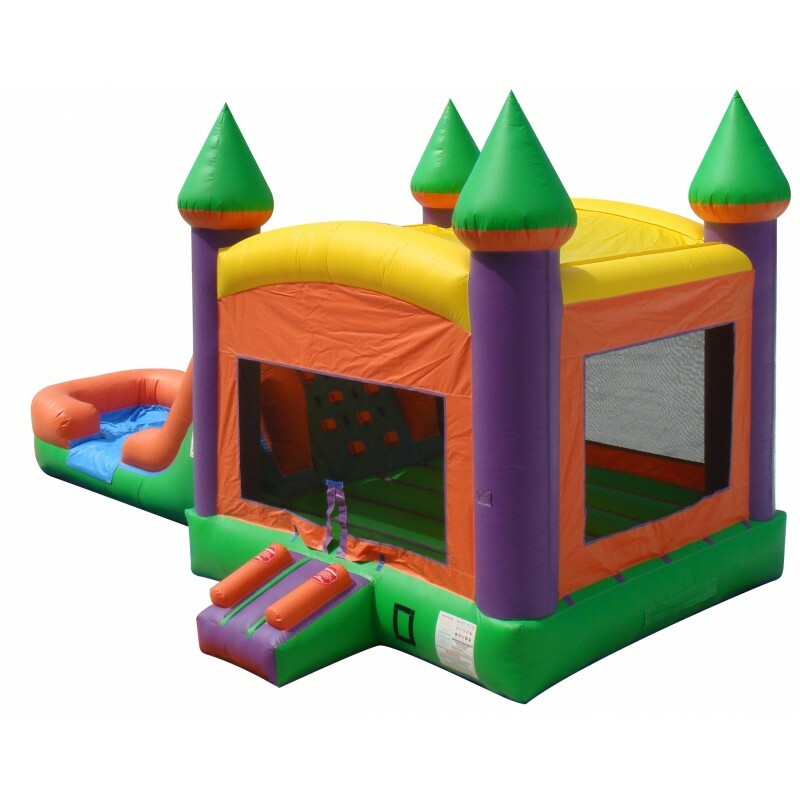 Enclosed entrance helps keep track of how many children are inside the bounce house. 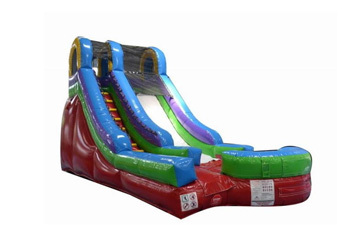 Riders then climb their way up the rock wall before going down the slide. 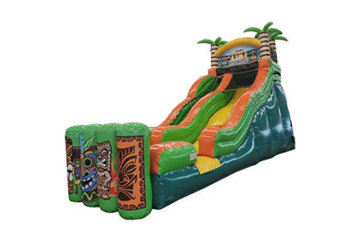 Hook the hose up to the slide and let riders enjoy a super splashing water slide that drops them into the splash pool at the bottom. 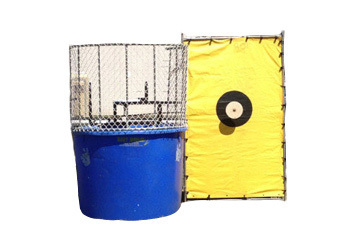 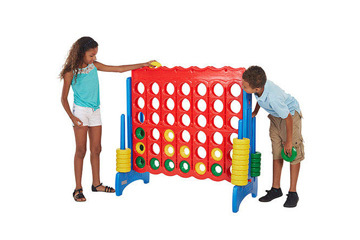 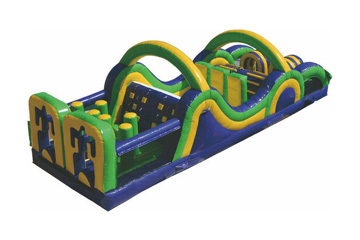 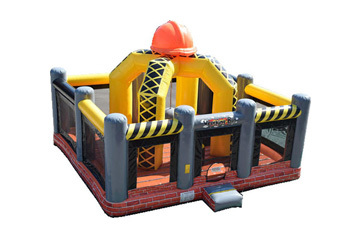 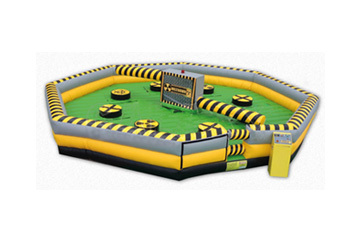 Jumping, bouncing, climbing, sliding, splishing and splashing fun is guaranteed. 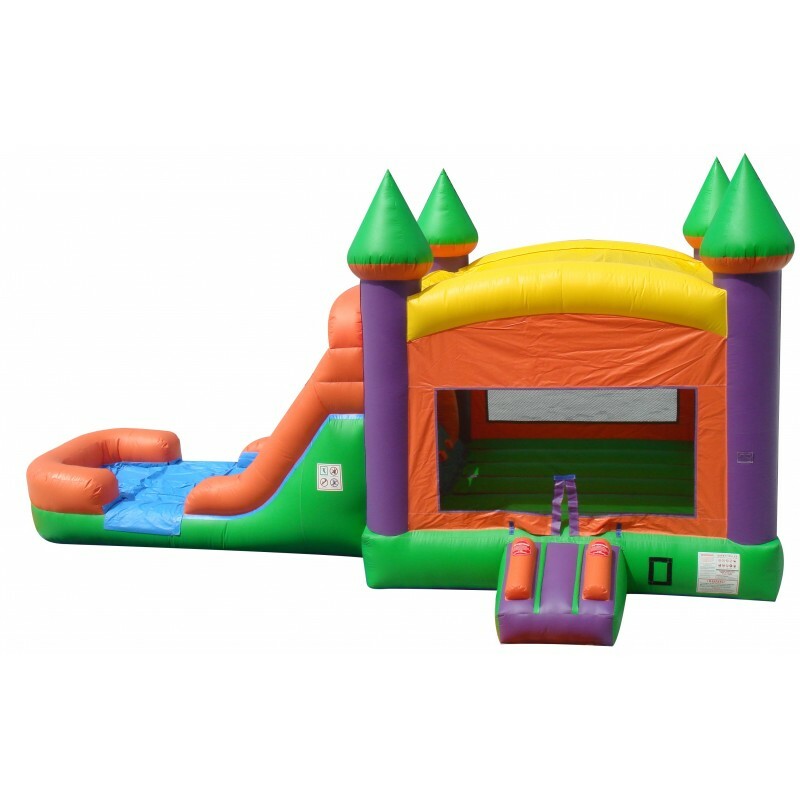 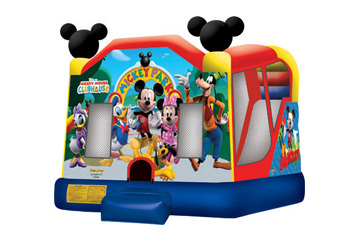 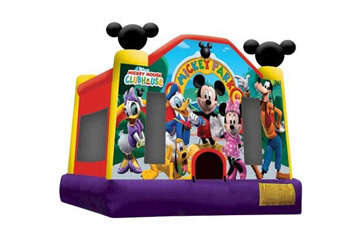 This bounce house slide combo is the perfect addition to any backyard celebration.